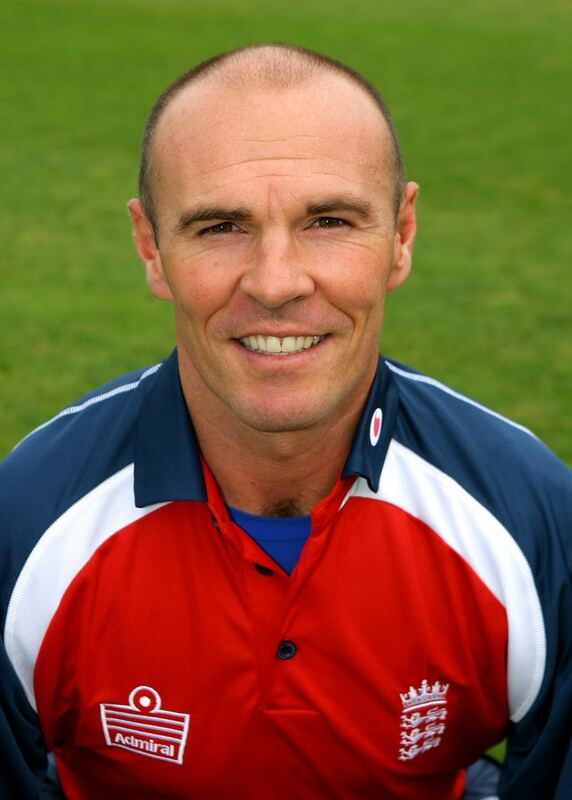 Paul Andrew Nixon (born 21 October 1970) is a former English cricketer who played for Leicestershire, England, England A, MCC and Kent. He is a wicket-keeper and left-handed batsman. He announced that he would play his final game of professional cricket at Grace Road against Kent on 6 August 2011 in a T20 quarter final, which meant that should Leicestershire beat Kent and get into finals day he would play. Leicestershire got into finals day, having had to achieve their highest ever T20 chase of 203 in 20 overs, which they managed in 19.2 overs, with Nixon scoring 31 runs from 17 deliveries. Leicestershire then went on to win the competition; firstly beating Lancashire in a super over eliminator, then beating Somerset by 18 runs in the final, meaning that Nixon got the fairytale end to his career that he dreamed of. His retirement on 27 August 2011 marked the end of his 23-year career. Since playing international cricket, Nixon has become renowned for his vibrant contributions vocally from behind the stumps. On the matter, Nixon remarked, "I've been doing it for 19 years and no one ever noticed before! It's not sledging mind. It's banter - like playing golf with a mate. I'm just trying to get 'em away from their concentration really." On the last day of the 2006 season, Nixon was used as a declaration bowler against Essex. He was clubbed for 69 off five overs, whilst Darren Robinson, bowling at the other end, was hit for 117 off just 4.4 overs. Mark Pettini smashed 114 off just 29 deliveries, a knock including 11 sixes. According to a BBC report, they both served up "10 overs of utter rubbish - on agreement - to allow Mark Pettini the easiest century he will ever hit." This serves to demonstrate, if not Nixon's desire to force a result, that he is not a cricketer intent on playing for averages. In October 2007, Nixon said that he would join the Indian Cricket League, joining fellow English cricketers Darren Maddy and Vikram Solanki. He remarked, "This is an exciting opportunity, it is perfect timing. India is the mecca of cricket and Twenty20 interest is high due to the national team's success". He played two seasons for the Delhi Giants before the ICL folded. Paul is an ambassador for Dorothy Goodman School, a Special Educational Needs school in Hinckley, Leicestershire. Nixon made his first class debut in 1989 with Leicestershire and with them he won two Championship titles in 1996 and 1998. In July 2007, it was announced that Nixon had been appointed captain of Leicestershire until the end of the county season. The wicket-keeper took over from Darren Robinson, whilst Jeremy Snape remained in control of the one-day side. In August 2007, it was announced that Nixon would be the new club captain for all competitions, after signing a three-year contract. Nixon played 197 List A matches for Leicestershire, before moving to Kent and making 65 appearances there. He returned to Leicestershire for the 2003 season, and continued to feature for them until the end of the 2011 season. Other List A outings have been for England A, First Class Counties Select XI, England XI, and England. Nixon made his first List A fifty in his 37th match, against Nottinghamshire, hitting 60 in a 7 wicket loss. Perhaps his best run of form in his first spell at the club, was from March to June in 1999, where he hit his only hundred to date, against Sri Lanka A, before totalling 53 against the same opposition, and 60 against Sri Lanka B. 96* followed against Kent, before the excellent spell was rounded off with 51 against Ireland. He had to wait another 35 matches for his next fifty, which came for Kent against Surrey, and went on to hit two more half centuries for the Spitfires. After returning to Leicestershire, he hit four fities in his first nineteen games, but then had to wait forty-four matches for his next landmark innings. Three half centuries in the 2006 season followed, before his consistent performances continued for England over the winter, and then his domestic side in the 2007 season. Despite scoring twenty eight half centuries in List A cricket, Nixon managed just one century, and this was for Leicestershire against the Sri Lanka A team. His highest score for the Foxes in domestic cricket is the 96* he made in May 1999 against Kent. Since the inauguration of the Twenty20 Cup competition in 2003, Leicestershire have proven to be real contenders for the title most years. With their competition name of Leicestershire Foxes, they have run out winners on three occasions. Nixon was a key member of the squad for each successful campaign. He said of this fast paced form of the game, "Wicket-keepers play a very central role as the captain often asks you a lot about the lines people are bowling and the pace of the pitch. Both of these things have an impact on the skipper placing his fielding positions. Therefore the keeper in any team is an integral part of a captain's thought process." First up for Leicestershire was Yorkshire, in their first ever Twenty20 Cup match. The Foxes ran out winners by 16 runs, with Australian Brad Hodge taking the man of the match award for a sparkling innings of 97 and bowling figures of 3-6. Nixon himself thumped 43 off just 26 deliveries, hitting four 6s, and took two catches and a stumping. After this great start for Nixon, the next few innings must have been somewhat of a frustration. 5 against Durham was followed by 26 against Lancashire, before 1 off 8 deliveries against Nottinghamshire. Despite this, Leicestershire ran out winners on each occasion. An explosive 27 off 13 balls, including two 4s and two 6s followed in the 1 run victory over Derbyshire, as the Foxes made their way to the semi final of the competition. Warwickshire were the opponents, and despite Brad Hodge giving another man of the match performance of 66 with the bat and 1-27 with the ball, the Foxes lost by 7 wickets. Nixon hit 7 off 10 deliveries, including a 4, but his team's total of 162 proved inadequate in the end. A new year and a new competition, and Leicestershire picked up their best form to see off Lancashire, before losing to Durham. Next up were Yorkshire and in a high scoring encounter, with both sides notching up over 200, the Foxes won by 10 runs, with Darren Maddy battering 111 off just 60 balls, smashing eight 4s and six 6s. 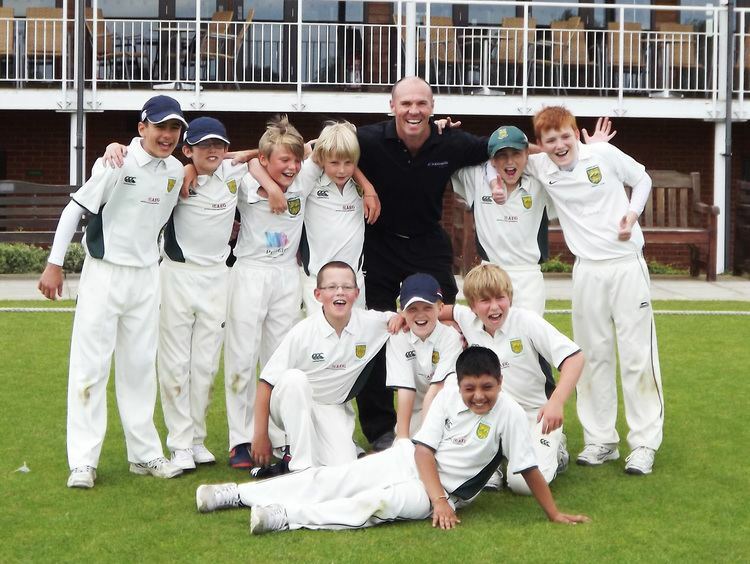 Nixon had hit 3, 0 and 9 in these first three matches, but made up for this in the next game against Nottinghamshire with a crucial 23, including a 4 and a 6 to see his side to a 40 run win. A quarter final win over Essex with a contribution of 3 by Nixon was followed by a semi final clash with Glamorgan. In a tightly fought encounter, the Foxes eventually won by 21 runs, with Nixon hitting an unbeaten 14. In the final, Leicestershire faced Surrey and won by 7 wickets, with Brad Hodge again grabbing the headlines with an unbeaten 77. Nixon was not required to bat on the day, but was a worthy winner of a Twenty20 Cup medal. As reigning champions, Leicestershire were the side to beat. Nottinghamshire tried first, and failed, losing by 5 wickets, with Nixon hitting an impressive 32 not out to help see them off. A loss against Derbyshire followed, although Nixon still contributed 16 and two catches. However, Leicestershire were soon back to winning ways against Durham, triumphing by 3 runs with Nixon hitting 11 off 11 balls. Lancashire ran out winners in the next game, with Nixon being dismissed for a duck. Scores of 15 not out and 4 followed in the next two wins over Nottinghamshire and Durham, and Nixon was not required to bat in the Leicestershire victory over Yorkshire as his side marched on to the quarter finals. Middlesex were the opponents, and the Foxes ran out victors by 19 runs, with Nixon smacking an unbeaten 26 off 18 balls. Despite scoring 27 not out in the semi final against Somerset, it was not enough to see them off, as Leicestershire bowed out of the competition. 2006 was arguably Nixon's best year in the Twenty20 Cup. 14 in the win over Nottinghamshire was followed by 21 in the loss to Lancashire. A stupendous innings of 42 off 25 deliveries, including four 4s and two 6s helped Leicestershire to an 86 run win over Derbyshire, although 13 was not enough to help see off Nottinghamshire in the next match. Derbyshire were next up, and Nixon helped his side to an 18 run win with an unbeaten 25. A score of 11 followed in the win over Durham. Then came Nixon's best performance in the competition up to this point. 52 off 39 balls, a knock which included four 4s and three 6s, saw his side over the line against Yorkshire and won him the man of the match award. 19 off 12 deliveries in the victory over Durham then lined up a quarter final clash with Kent, where Nixon contributed an unbeaten 17 to help his side to a 9 wicket win. The semi final of the competition brought another man of the match performance from Nixon, on a par with - if not eclipsing - his innings against Yorkshire. Hitting an unbeaten 57 off just 33 deliveries, with six 4s and a 6, and taking a catch, he helped his side to a 23 run win over Essex, as Leicestershire made it to the final of the competition for the second time. Nottinghamshire were the tough opposition on the day, but the Foxes prevailed, winning by 4 runs, although Nixon was not required to bat. Leicestershire set out on the road to retain their title in winning fashion, beating Yorkshire by 13 runs. Nixon hit 23 off just 18 deliveries. A no result against Nottinghamshire followed. The next opposition were Durham, and in a game reduced to 13 overs per side, the Foxes succumbed to an eight wicket defeat. Nixon hit 16 off 15 balls and took a catch. After a subdued start to the competition with the bat, Nixon then went on to record his highest ever Twenty20 score against Derbyshire. He smashed 65 off 41 deliveries, thumping seven 4s and a 6, before being bowled by Graham Wagg, as Leicestershire got back to winning ways with a 6 wicket win. He posted a partnership of 121 with Hylton Deon Ackerman and stumped Greg Smith after the South African had made 79. Leicestershire then had games against Nottinghamshire, Derbyshire and Durham abandoned and the game against Lancashire ended with no result. After having five of the first eight group games abandoned, the Foxes' hopes of retaining the trophy were ruined. At the age of 36 he was surprisingly called into the squad for the 2007 triangular one-day tournament against Australia and New Zealand, as one of two keepers along with Chris Read. His closest opportunity to representing England prior to this came in 2000-01 when he was selected to tour Pakistan and Sri Lanka but did not replace the incumbent Alec Stewart as England's keeper. In July 2007, he was named in the provisional 30 man squad for the inaugural Twenty20 World Championship, to be held in South Africa, fighting for the wicket-keeper spot with Matt Prior. However, when the actual fifteen man squad was announced in August, Matt Prior was chosen as wicket-keeper for the tournament. He made his international debut in a Twenty20 match against Australia on 9 January 2007, scoring 31 not out - hitting two 4s and a 6 off just 22 balls, stumping Mike Hussey and running out Michael Clarke with Paul Collingwood, as England slumped to a 77 run loss. His first one-day call up came three days later, as England took on Australia in the first match of the Commonwealth Bank Series. Despite being dismissed for 0, he did catch Adam Gilchrist and Matthew Hayden off the bowling of Jamie Dalrymple and Monty Panesar respectively, but despite this, Ricky Ponting and Michael Clarke each recorded unbeaten half centuries to complete an 8 wicket win for their side. Nixon's highest score with the bat came on 30 January 2007, against New Zealand. Nixon and Liam Plunkett set a new record 8th wicket partnership (of 76) for England in One-day Internationals, beating the previous effort held by Ben Hollioake and Darren Gough. He finished with 49, missing out on his half century when he holed out to Jacob Oram off the last ball, hitting two 4s and two 6s along the way. Nixon also contributed with the bat in the 1st final against Australia with an unbeaten 11 from 10 balls as England won with 3 balls to spare. Nixon first arrived on the scene at the start of the Commonwealth Series, starting in January 2007; a competition contested between Australia, New Zealand and England, with all games being played in Australia. The hosts and England made it through to the finals. This meant that of Nixon's first ten One Day International, six were against Australia. Nixon made an appearance with the bat in each match with a top score of 11 not out. The other five innings brought 0, 9, 4, 4 and 6 runs. This gave him an average of 6.8 against the one-day champions. However, tight keeping and infamous banter from behind the stumps helped England to a surprise series win. He caught eight Australian batsmen off a range of bowling, and helped run out Adam Gilchrist with Liam Plunkett in the third encounter between the two sides. Nixon was to be remembered, regardless of any other achievement, as he was dismissed by Glenn McGrath, with what was the Australian bowler's last ball in cricket at the SCG. Australia were again the opposition for England in the third match of the Super Eight stage of the 2007 Cricket World Cup. Australia ran out winners by 7 wickets, with Nixon hitting 8 after joining the batting action late on in the innings. Despite having an overall one-day batting average of 19.8 at this point, Nixon's average against Australia was just 7, demonstrating the significant contributions made against other opposition. He has earned a reputation as a player with an ability to forge partnerships with other men lower down the order, and to move the score along later in the innings, without taking undue risks. On 26 April 2007, Nixon was named as one of two wicket keepers (along with Matt Prior) in the 25 man performance squad for the summer series against the West Indies and India. Following his solid performances in the 2007 Cricket World Cup, Nixon was rewarded with a place in the squad, ahead of the two keepers selected for the Ashes series: Geraint Jones and Chris Read. Chairman of selectors, David Graveney, said, "The wicket-keeping position remains a competitive area - Paul Nixon and Matt Prior have been included in the squad but will be aware that they face strong competition from keepers outside of the squad." Inclusion in the squad gave Nixon the chance to extend his England career. Ultimately, Matt Prior was selected as wicket-keeper for the First Test against the West Indies, despite Nixon contributing significantly with the bat during the early stages of the season for Leicestershire. However, Nixon was selected as wicket-keeper for the England Lions team facing the West Indies before the tourists' one-day series against England. Nixon, along with a number of other fringe players, saw the selection as an opportunity to push for a place in the senior squad. He said, "After the World Cup I thought I might not get another call-up to be honest, especially with the change of management, and Matt Prior has done so well since he came in." Unfortunately for Nixon, he was not named in the squad for the series against the West Indies, as Prior kept his position. In England's first 2007 Cricket World Cup match against New Zealand on 16 March 2007, he again shared an excellent stand with Liam Plunkett - this time of 71 - to boost the total to 209. He ended the innings 42 not out, hitting five 4s having faced 41 balls. This stand turned out to be the best eighth wicket partnership in the whole of the competition. In New Zealand's reply, Nixon caught Lou Vincent off the bowling of James Anderson as the opener was dismissed for 0. Despite being 2-2 at one stage, the Kiwi's eventually won by 6 wickets, with Scott Styris and Jacob Oram both hitting unbeaten half centuries. On 18 March, England took on Canada and Nixon hit 23 off just 8 balls, a knock which included four 4s and a 6 - a strike rate of just under 288. This helped his side accumulate 279. In their innings, Canada were chasing England's total with remarkable confidence, when Nixon stumped star performer Asif Mulla who was on 58, off the bowling of Ravi Bopara. A certain amount of momentum was lost as a result, as the Canadians succumbed to a 51 run defeat. Six days later, England beat Kenya by 7 wickets, although Nixon was not required to bat. In England's first Super Eight match against Ireland, Nixon contributed a useful 19 off 15 deliveries, hitting a 4 and a 6 along the way, accelerating the team's total to 266. Much like Canada in the Group Stage, Ireland were steadily chipping away at England's total, when Nixon again disrupted momentum with a stumping - this time nabbing Niall O'Brien off Michael Vaughan's bowling, for 63. Ultimately, England won by 48 runs. On 4 April, England were up against Sri Lanka, and struggling at 133-6, chasing 236 to win. Nixon came to the crease and crashed 42 off just 44 deliveries, with two 4s and a superb 6, sharing an 87 run partnership with Ravi Bopara off just 15.2 overs, before skying a Lasith Malinga delivery to Mahela Jayawardene. This turned out to be the best seventh wicket partnership of the whole competition. His 6 came in the form of a fantastic reverse sweep off the bowling of Muttiah Muralitharan. Renowned as one of the best players of the shot, Nixon remarked after the match, "I've probably hit 20 sixes like that in county cricket - if I get my timing right, it's going to go out of the ground". He had taken England to the brink of victory, having arrived at the crease with the team all but defeated. Bopara was left with the task of hitting 3 runs off the last delivery, but was clean bowled by Dilhara Fernando, as Sri Lanka sneaked a 2 run victory. After this innings, Nixon had a World Cup average of 63 - second highest in the England team to Paul Collingwood, but still better than renowned big hitters Kevin Pietersen and Andrew Flintoff. The figure placed him in the top twenty batsmen - in terms of average - at the World Cup at this stage, ahead of fellow wicket keepers, Brendon McCullum, Adam Gilchrist, Mark Boucher and Kumar Sangakkara. On 8 April, England faced Australia in the third match of the Super Eight stage of the competition. Electing to bat first, England posted 247, with Kevin Pietersen hitting 104 before attacking a Nathan Bracken delivery, but only succeeding in playing the ball into the hands of Michael Clarke. Nixon came in to bat towards the end of the innings, hit a Glenn McGrath delivery for six, before the bowler got his revenge and had him caught for 8 by Brad Hodge. It was evident after this performance that England were finding difficulty in capitalising on good starts, and that a number of key players were struggling to find form. Nixon's World Cup average dipped to 44.66 after five innings (two unbeaten) and 134 runs. Only Kevin Pietersen, Paul Collingwood, Ian Bell and Ed Joyce had hit more runs at this stage, although all bar Joyce had batted an innings more. Ravi Bopara had also hit over 100 runs at this point, and out of these six players, Nixon was the only one not to have hit at least 50 in a single innings. This further identified Nixon as a player with an ability to consistently contribute a substantial amount of runs, when with the right batting partner, usually lower down the order. England's fourth Super Eight game was against Bangladesh, who had proven themselves to be tricky opposition, having beaten South Africa in their previous match. However, the Tiger's were bowled out for just 143, with Sajid Mahmood and Monty Panesar each taking three wickets. Nixon took two catches, both off the bowling of James Anderson. In the chase, England struggled, crumbling to 110-6, with an awkward 34 still needed for victory. Nixon, along with Paul Collingwood, slowly but surely chipped away at the total and took England to a four wicket win. Nixon finished on 20 not out, hitting a 4 and a 6 along the way. He faced 39 deliveries, compared to Collingwood's 74, for 23 runs. This crucial partnership of 37 kept their nation's World Cup dream alive. This knock took Nixon's average in the competition to 51.33, bettered in the England team only by the stalwart Collingwood and the expansive Pietersen. England next faced South Africa in a match akin to a decider for which team was to progress to the semi finals. England batted first and were 119-6 when Nixon came to the crease, with Ravi Bopara at the other end. After making 1, he was dismissed off the bowling of Andrew Hall, caught by Mark Boucher, as his team was eventually bowled out for 154, with Hall taking 5-18 - the best ever figures for a South African at a World Cup. In South Africa's reply, they were 37-0 off four overs, compared to England's total of 5-0 at the same stage in their innings. England finally made a breakthrough in the 10th over, as Nixon caught Abraham de Villiers for 42 off the bowling of Andrew Flintoff, but South Africa already had 85 on the board. In the end, the Proteas won by nine wickets, taking just over 19 overs to knock off England's total, with captain Graeme Smith firing an unbeaten 89 off 58 deliveries, to send England crashing out of the competition. Colly and Strauss were going well, but we lost the whole middle order quickly. I felt good off the first ball, then just pushed at one second ball and got a feather to the wicketkeeper - just when you want a play and miss, but sadly not. People must remember that we are the second least-experienced side here, only Ireland have fewer caps. For me, I was desperate to win, because I know I will never have another go. Lastly, England played the West Indies, in what was Brian Lara's last international match. He was absurdly run out for 18, but the hosts still went on to compile 300 with Chris Gayle, Devon Smith and Marlon Samuels all hitting half centuries. Nixon took one catch - Ramnaresh Sarwan off the bowling of Liam Plunkett. In reply, England had Michael Vaughan to thank for a fairly solid start, reaching 101 before losing a second wicket. However, a mid order collapse followed, as Paul Collingwood, Andrew Flintoff and Jamie Dalrymple all fell in quick succession. Nixon came to the crease with his side 189-6 and 112 runs still needed for victory. By picking the gaps and careful play, Nixon kept his score ticking along, whilst keeping his wicket intact. At the other end, Kevin Pietersen went on to record his second century of the competition, before being bowled by Jerome Taylor. The two had put on 80 together - a crucial partnership in the circumstances, but 31 runs were still required. Liam Plunkett came and went, and with three more runs needed, Nixon himself was bowled by Dwayne Bravo. His 38 (off 39 deliveries, with four 4s) was a vital contribution which helped bring England to the cusp of victory. Playing in his first match of the competition, Stuart Broad hit the winning runs to secure a morale boosting win for his side. Of the match, Nixon said, "that was an amazing game of cricket. There was some tremendous batting from West Indies. We had to do something, we'd all talked about Duncan Fletcher and it means a lot for him. The lads paced the game so well. Michael Vaughan played beautifully, Kevin Pietersen came in and played magnificently and then the Leicestershire partnership finished it off." After the match, a CricInfo article read, "the match pivoted round Paul Nixon. By smashing three bottom-handed fours through midwicket in the 48th over he made a seemingly impossible chase do-able." On the prospect of playing in future competitions for England, Nixon remarked, "I still feel I could do a job at the next World Cup in 2011." England finished fifth in the competition overall, although Nixon had proved one of the team's success stories. He remarked, "fifth at the World Cup is nowhere - but I have loved every minute and let's see what the future holds." Nixon finished the tournament with an average of 38.6, having scored 193 runs. This was the third highest in the England team, behind Kevin Pietersen and Paul Collingwood. He was the only English batsman to score over 100 runs without hitting over 50 in a single innings. After facing 194 balls, he had a strike rate of 99.48, hitting seventeen 4s and five 6s. This was the 10th highest strike rate of any player at the World Cup. Of those batsmen that batted more than 3 times in the competition, he ended up with the 6th highest strike rate. He also recorded the fifth highest strike rate of any England player in any innings in the competition, with his 42* off 41 balls against New Zealand - a strike rate of 102.43. Nixon made two more knocks with strike rates over 95, against West Indies and Sri Lanka. Nixon had the 34th highest average of all of the players to have taken part - notably one place above Brian Lara. He was the second highest placed wicket keeper - in terms of average - behind Adam Gilchrist who moved ahead of the England man after his astounding 149 in the final. He finished with 9 dismissals - 7 catches and 2 stumpings, which placed him joint fifth in the wicket keeper dismissal rankings.